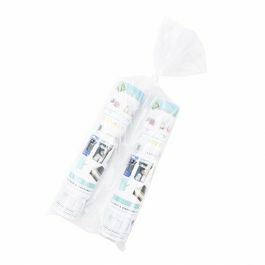 Our NPB2 newspaper bags measure 6" x 19" and come bundled and attached to a cardboard hanger for convenient loading. These 0.8 mil bags are perforated for easy tear-off. A built-in side seam makes these bags extra durable so you can deliver you newspapers, flyers and catalogs clean and dry. You never can predict the weather these days. 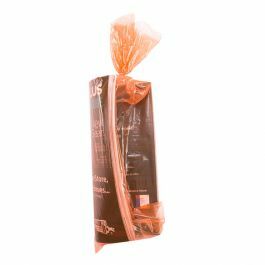 With our NPB2 plastic newspaper bags luckily you don't have to. Your customers can expect dry materials from now on. 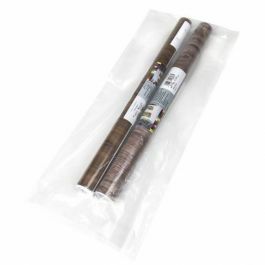 These 6" x 19" newspaper delivery bags come bundled with a cardboard hanger for easy filling. Simply hang the bag, load, and tear-off from the perforated seam. These 0.8 mil bags are light, economical, and have a built-in side seam for extra durability. Your customers will appreciate the delivery of dry and clean newspapers, catalogs, flyers and more. Outer Dimensions: 6" x 19"
Most popular use is for holding and delivering newspapers.